Build Your YouTube Subscribers and Video Views Automatically with Our New Set-and-Forget WordPress Plugin, Tube Subscribr! Tube Subscribr is a set-and-forget WordPress plugin that you put on the sidebar of any blog. It only takes two minutes to install and activate. Tube Subscribr gets you more video views and also increases your channel subscribers without you ever having to do a thing! It's completely passive! 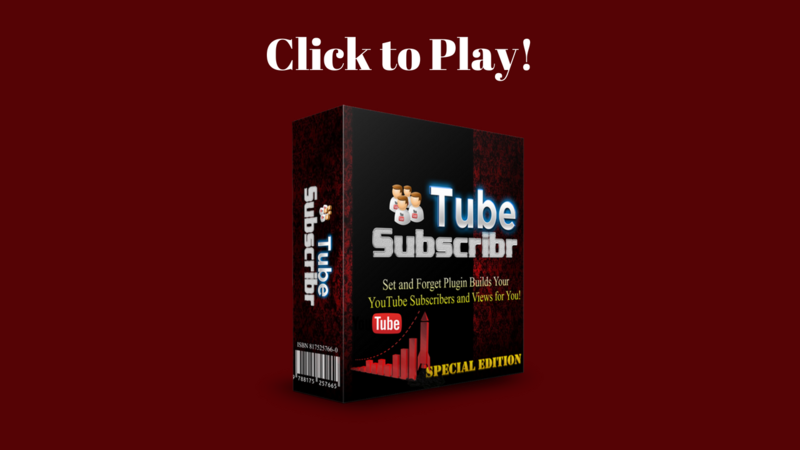 Here's Exactly How Tube Subscribr Works! Just Upload and Configure, and You're Done! Your Views and Subscribers Grow Automatically! Tube Subscribr Is Completely Set-and-Forget! 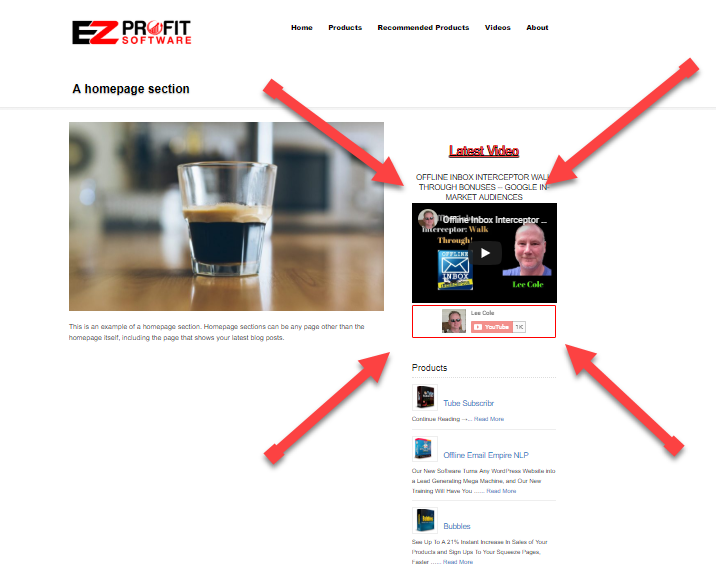 Tube Subscribr sits in your website's sidebar and entices visitors to watch your video AND subscribe to your channel. They can watch the video right in the sidebar, or switch it to full s screen mode. The subscribe button is directly under the video. This has been proven to increase your channel views and subscribers automatically. It will pull in your latest uploaded video, your must popular video, or your highest rated video. Set up takes less than five minutes. After that, it's completely set-and-forget! 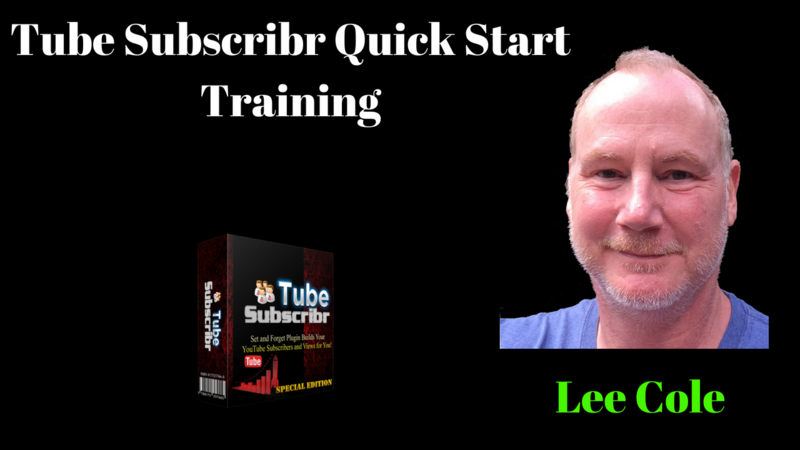 If You Purchase Tube Subscribr With a 50-Site License Today, You Also Get My Quick Start Training Webinar, Our Amazing Video Affiliate Ninja Course, and a Ton of Other Money Making, Cutting-Edge Bonuses for Absolute FREE! 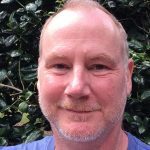 Buy Today and Get Access to My Live Webinar Training, Tube Subscribr Quick Start ... A $97 Value! 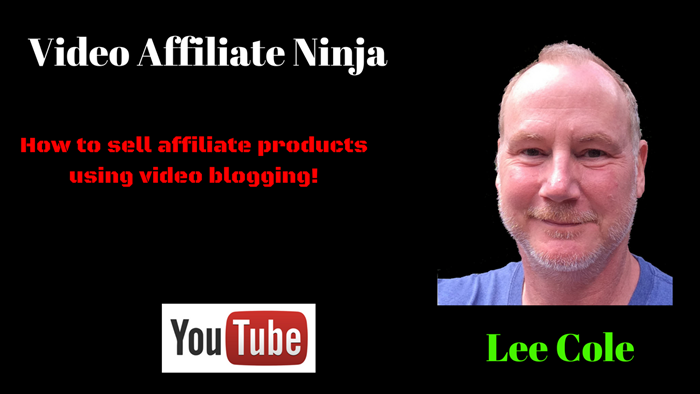 And You Get...Video Affiliate Ninja, 12-Video Course...Yours For FREE!...a $197 Value! Video Affiliate Ninja is a 12-video course that shows you step-by-step exactly what you need to do to start selling affiliate products using videos and blogging. Completely newbie friendly! Perfect for someone who wants to create a real income online, or who just wants a very profitable side-hustle! Yours today for FREE when you purchase Tube Subscribr! And, That's Not the Only Money Making Bonuses You Get Today! Buy Tube Subscribr Today and You'll Also Get These Amazing, Profit Spewing Bonuses! 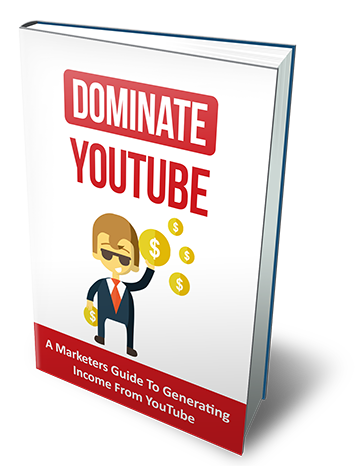 Take your YouTube business to the next level with this new training, Dominate YouTube. You'll learn exactly what to do to build your channel, get subscribers, and turn them into rabid, money spending fans! ... A $47 value! 10,000 views a week? That would be close to half a million views per year. And, can you imagine the money you'd make if you could get even half way to that? 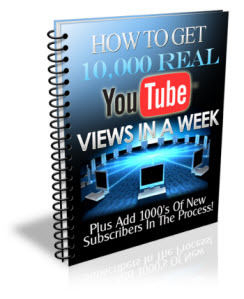 With this new training, How to Get 10,000 Real YouTube Views in a Week, you'll learn the secrets of how YouTubers are crushing this platform and getting rich doing so! ... A $67 Value! Don't know about you, but I love case studies. 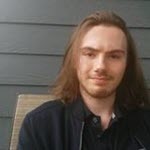 I learn so much, and because I'm following along with a real life situation, I know that I can replicate the author's success. 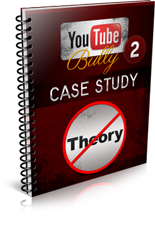 In YouTube Bully 2 Case Study, you'll learn the 6-Step secret to getting top Google rankings. You know, the kind that drive traffic to your money pages, year after year after year! ... A $47 Value! Do you have any idea how much money YouTube celebrities make? Heck, there are 14-year olds making more than a Doctor! 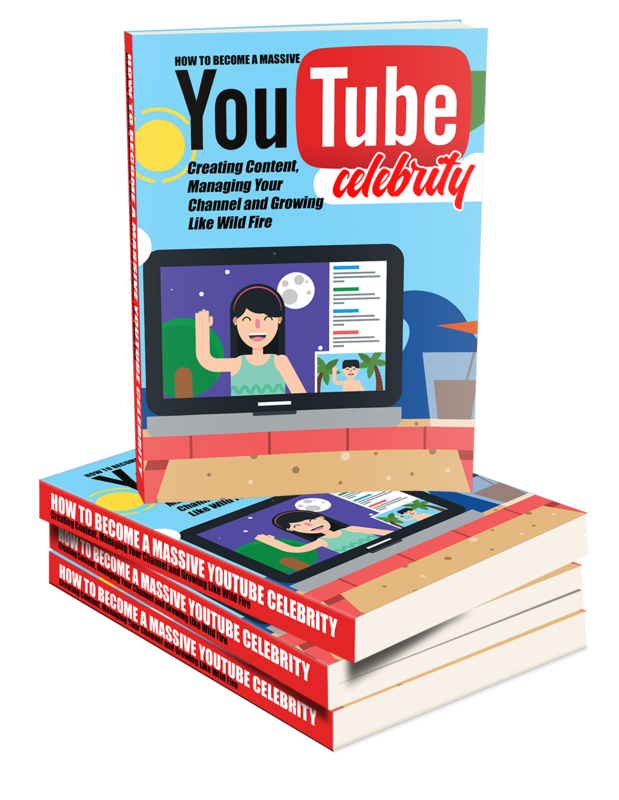 In YouTube Celebrity, you'll learn exactly how the people of all ages and backgrounds broke out in YouTube and turned their passion and their gifts into mega-incomes! Follow their steps, and you too could become a star, with the income that comes with stardom! ... A $67 Value! If your videos don't get the traffic...well...nothing's going to happen! 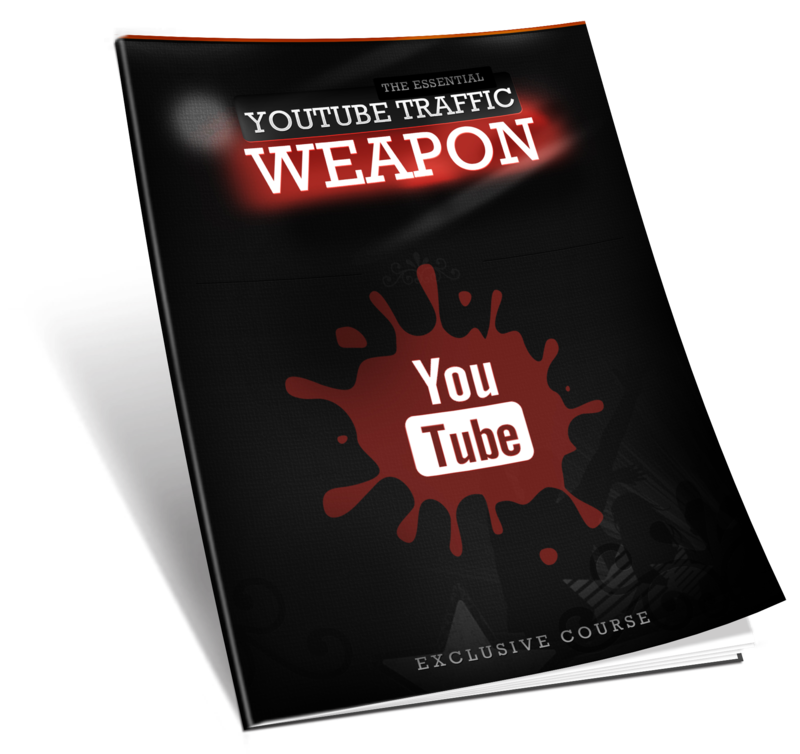 In YouTube Traffic Weapon, you're going to learn advanced SEO techniques that can rank your videos on top of page 1 of Google in no time! This is a must have skill for anyone who wants to dominate the YouTube platform! ... A $47 Value! Your Looking at Over $500 Worth of Cutting-Edge Bonuses When You Buy Tube Subscribr Today! And, There's Our 100% No Questions Asked, No Hassle, 7 Day Guarantee! We're so completely confident that you’re going to love our new software that we're willing to give you essentially a free look at everything. Buy today, and if at any time in the next 7 days you feel like this just isn't for you, let us know in support and we'll cheerfully refund your money! 100% guaranteed! You've got nothing to lose and everything to gain! Here's What You Do Next! Buy Tube Subscribr Today and Get a Massive Discount Over the Retail Price! You can get either a single site license or a 50-site license. Both allow you to use Tube Subscribr only on sites that you own. The 50-site license comes with the new course, Video Affiliate Ninja as an added bonus! If you want to sell Tube Subscribr to your local business clients, you'll have the opportunity to purchase a developer's license upon check out. We'll also upgrade you to 99 sites! All at a modest price! 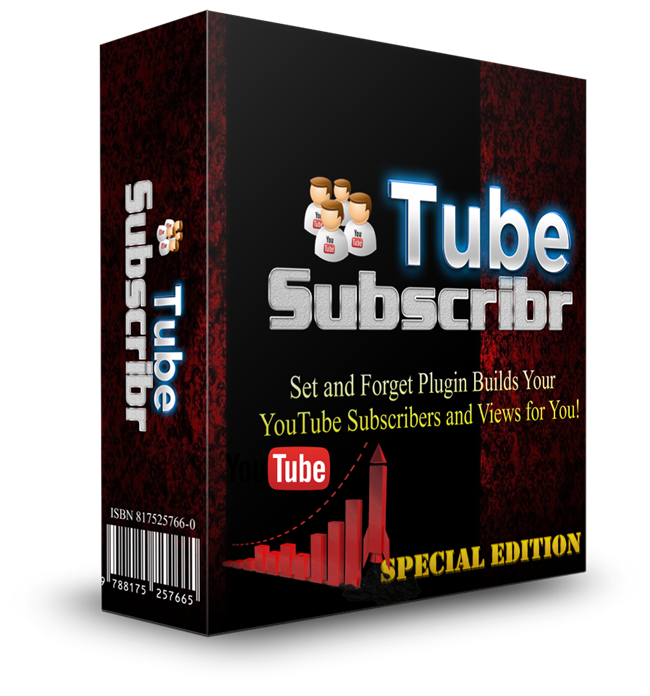 Tube Subscribr is a WordPress plugin. In order to use it, you must have a self-hosted WordPress website. (You own your domain name and you have hosting where your web files are stored.) Virtually all WordPress sites would qualify for this. If you're unsure, please reach out to us. 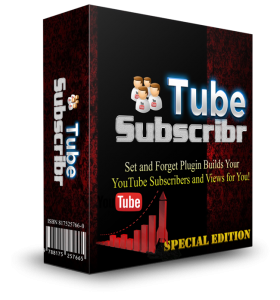 Tube Subscribr is very easy to install. Anyone can do it, and we offer complete instructions. If, however, you don't want to install your plugin, we can do that for you for a modest $25 charge, if you already have WordPress installed. If you do not already have WordPress installed, it will be $35 for installation of WordPress and the plugin. Reach out to us if you have any questions about this! Tube Subscribr is a set-and-forget WordPress plugin that you put on the sidebar of any blog. It only takes two minutes to install and activate it. Tube Subscribr gets you more video views and also increases your channel subscribers without you ever having to do a thing! It's completely passive!